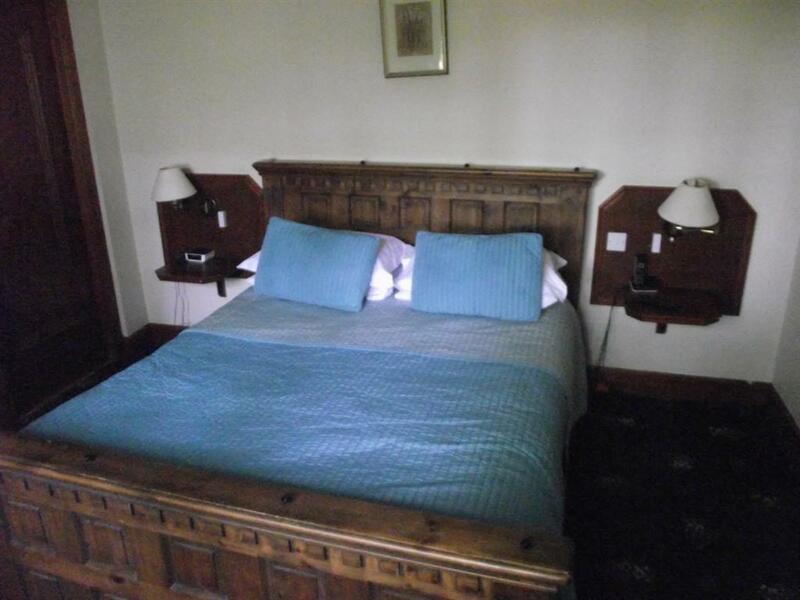 All our double bedrooms have comfortable double beds, flat screen TV and tea and coffee making facilities. 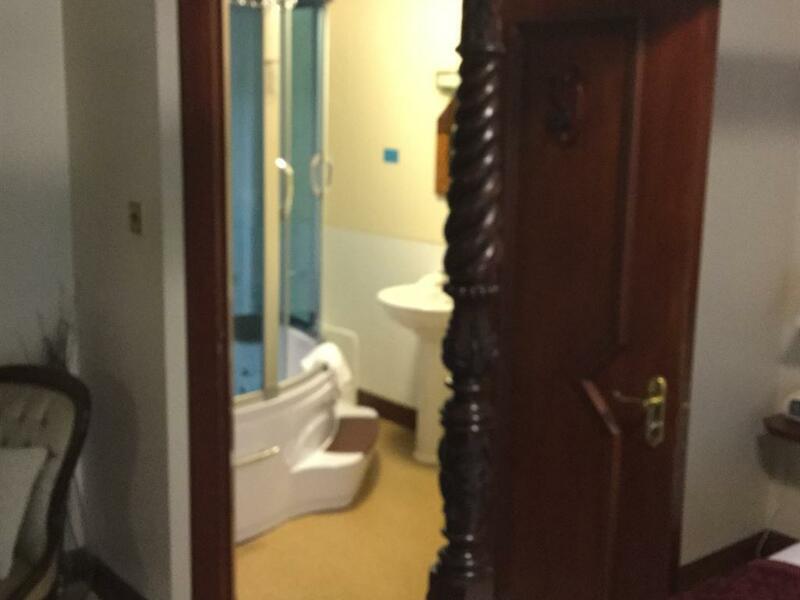 The en suites offer separate showers. 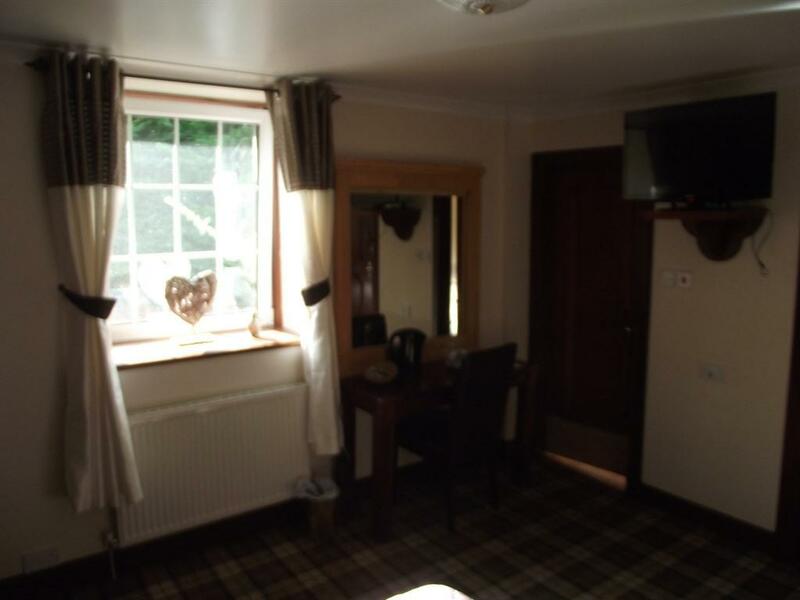 Iron and iron boards are available in each room. 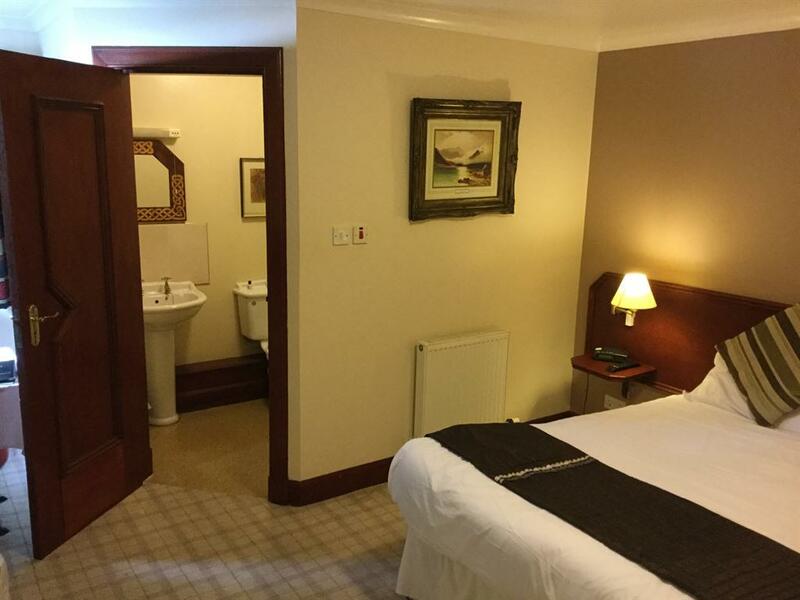 All the hotels bedrooms are located on the first floor of the hotel. 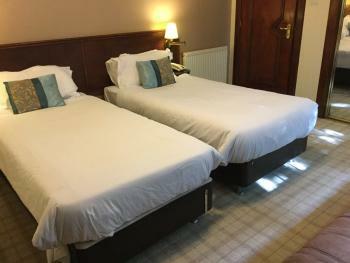 Pets are welcome at the Dalgarven house hotel and we allow to charge an additional £10.00 charge per stay to allow for the deep cleaning. 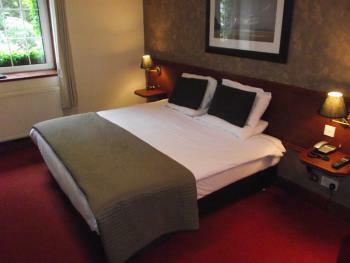 All twin en suite rooms have comfortable twin single beds, flat screen TV and tea and coffee making facilities. 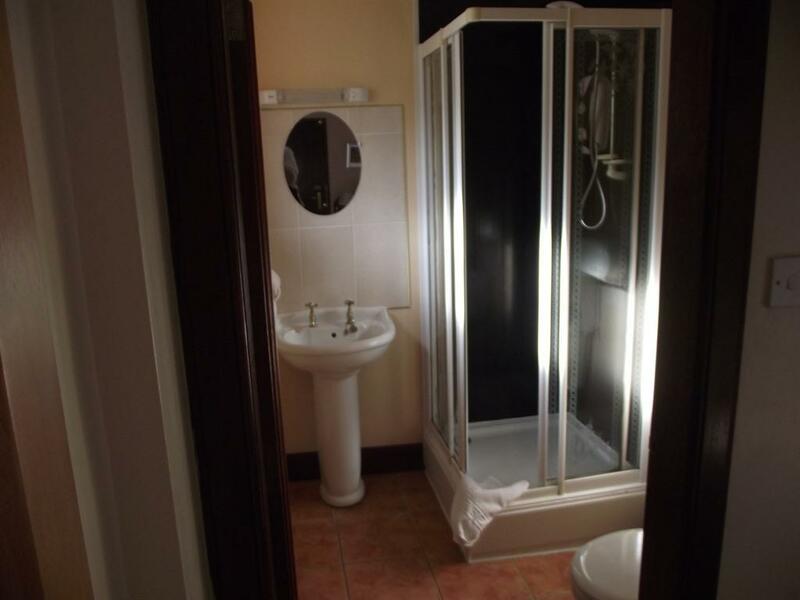 The en suite bathrooms offer shower facilities and each room offers iron and iron boards. 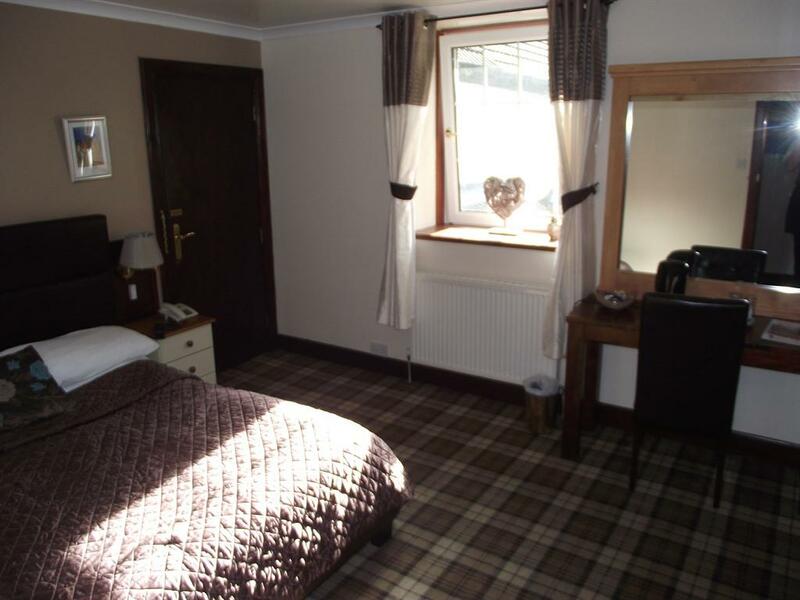 All the bedrooms at the Dalgarven House Hotel are located on the first floor of the Hotel. 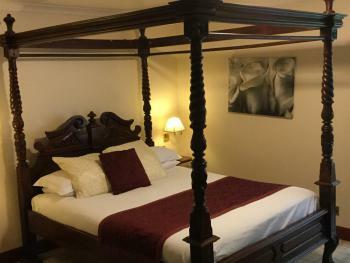 Well behaved pets are allowed at the Dalgarven House hotel. We allow to add a £10.00 charge per stay to allow for additional deep cleaning of the rooms. 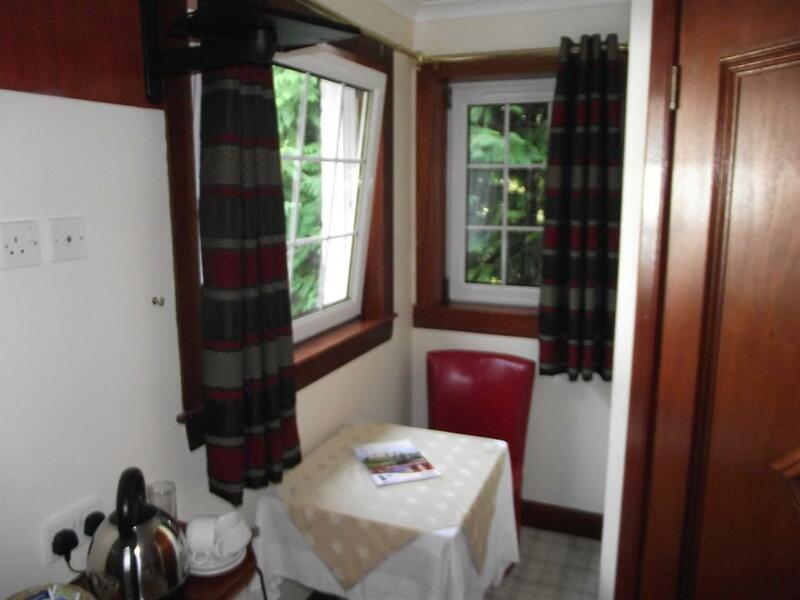 Please metion that you bring a pet when booking your room. 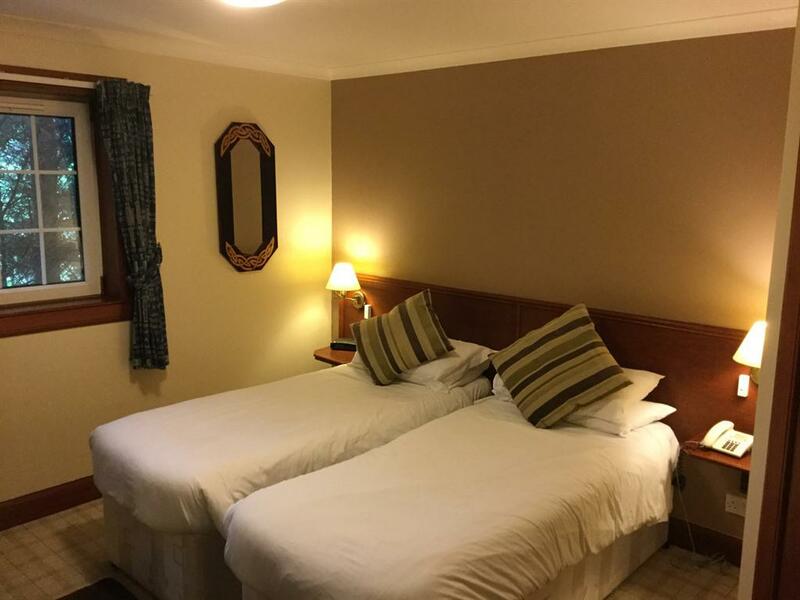 All double or twin rooms have comfortable zip and link beds, flat screen TV and tea and coffee making facilities. 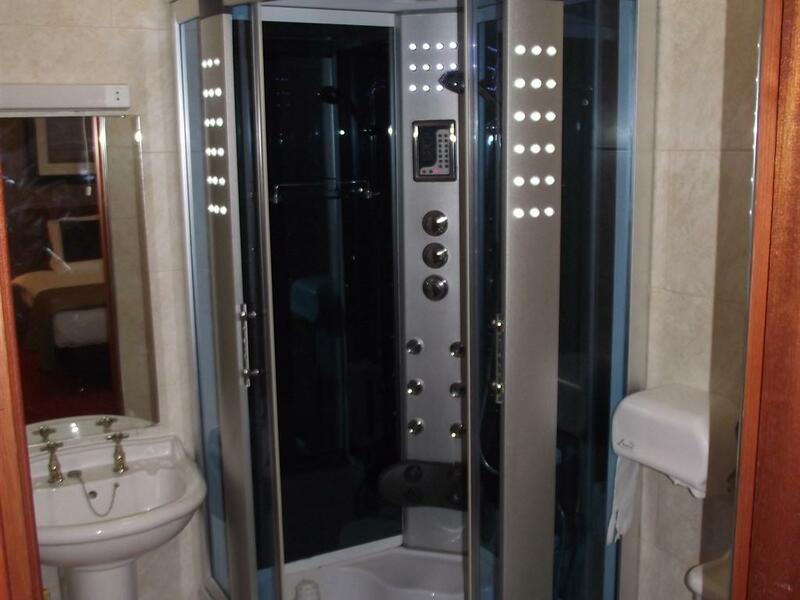 The en suite bathroom offer spacious showers in an ample sized bathroom. 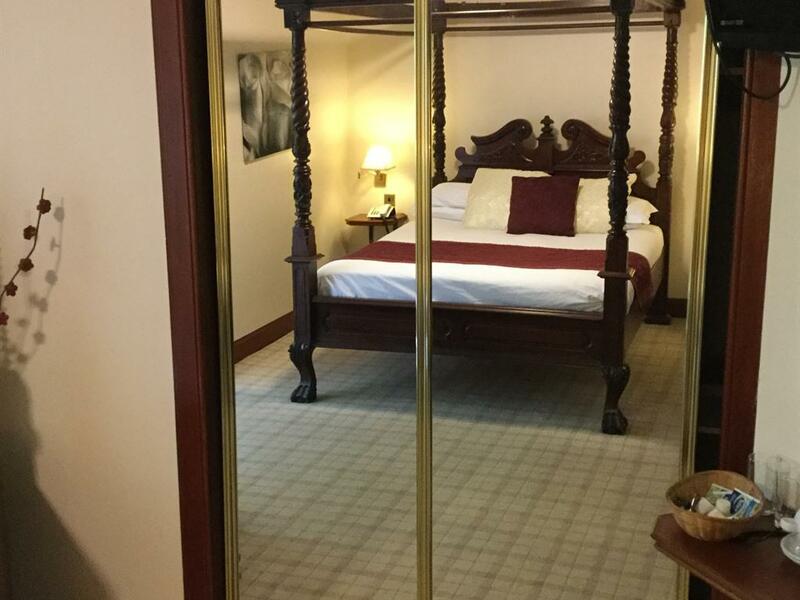 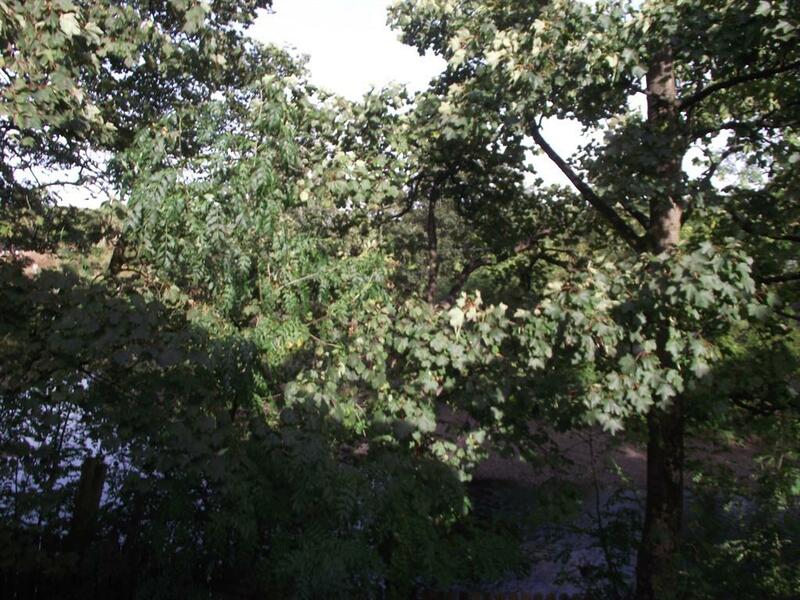 All our bedrooms are located in the first floor of the hotel The bedrooms have pleasant green outlook and from some of the rooms you can hear the gentle river Garnock. Spacious room with a comfortable four poster bed, flat screen television, tea and coffee making facilities, iron and iron board, the en suite bathroom boat a power shower over a spa bath,all our rooms are located on the first floor of the hotel. All family rooms offer a double/king size bed with additional sofa or roll out beds for the additional sleepers, our large family room has a separate adjoining sleeping room for the additional sleepers and can accommodate up to 4 extra beds, even the largest family will find the space comfortable. 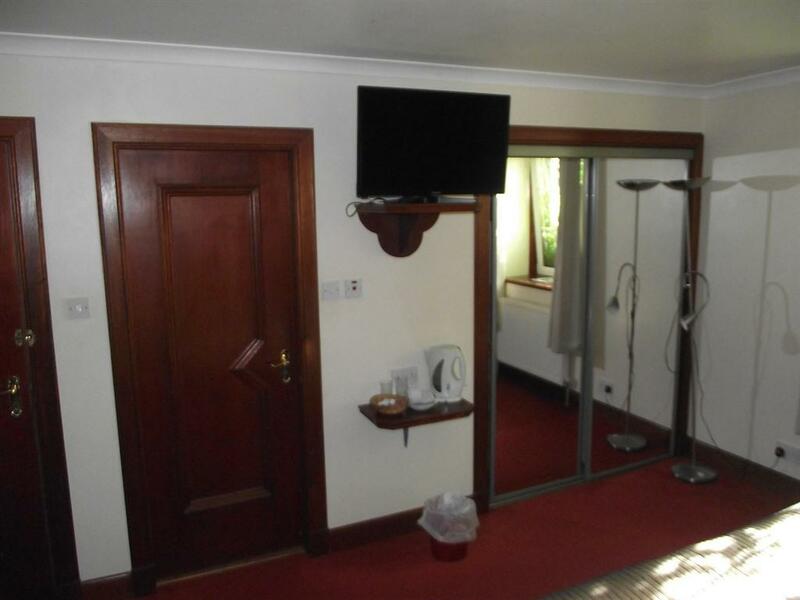 Both sleeping rooms have a flat screen TV. 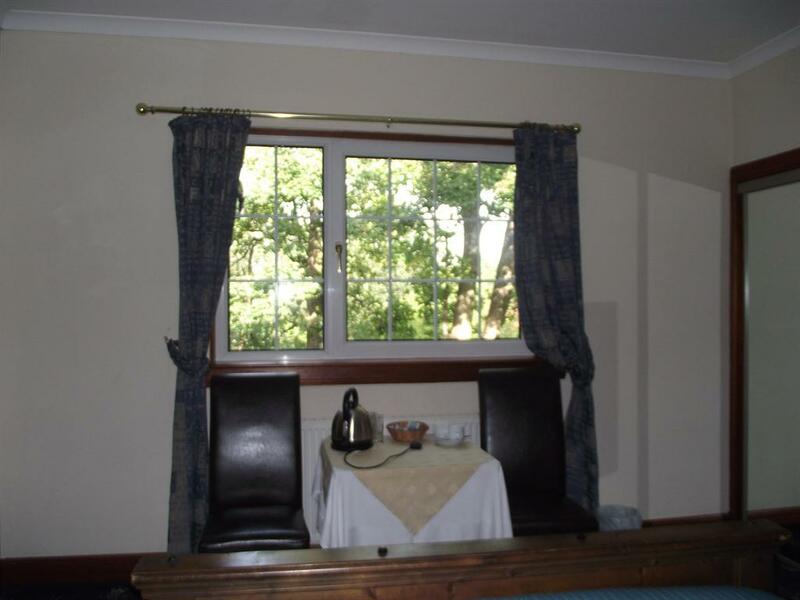 The principal room has tea and coffee making facilities, en suite shower room, iron and iron board. 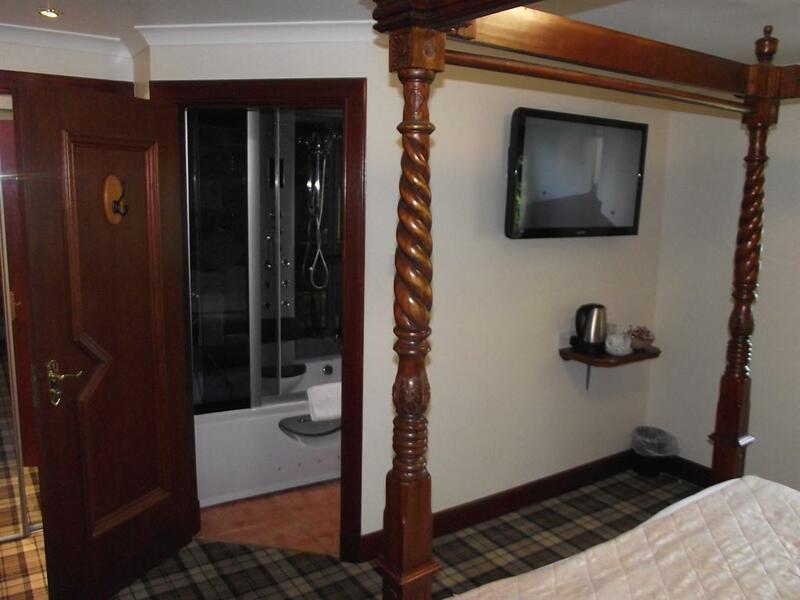 All our rooms are located on the first floor of the hotel.